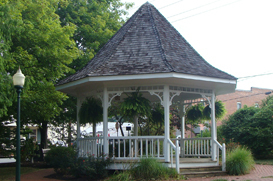 Zionsville is known for its small town charm and way of life. It is located northwest of downtown Indianapolis and sits in the southeast corner of Boone county. A growing community with small town charm and many real estate options to call home. The brick streets offer a range of stores to visit filled with fashions, wine, art and vintage antiques. You will find several fine restaurants & quaint cafes along the brick street with several fine art galleries and studios featuring world renowned artists. The school system is ranked at the top of Indiana education. Zionsville has one of the most educated populations in Indiana, a quality of life that offers a wide variety of organizations, a growing arts and culture community and forward thinking government. Zionsville was founded in 1852 and incorporated as a Town in 1866. When looking for real estate… place Zionsville on your list and see the unique charm this town offers along with an unparalleled lifestyle to those who live and work here.